Beautifully Hand Made, set of 4 BOXED Australian Christmas Christmas Baubles. 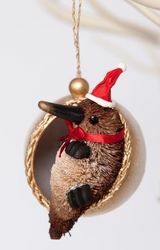 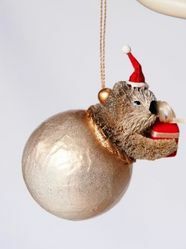 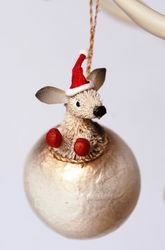 These delightfully designed Christmas Tree Ornaments will bring the True Aussie Christmas Spirit into your home. 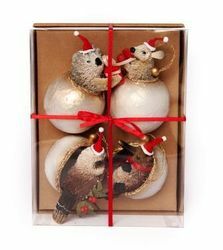 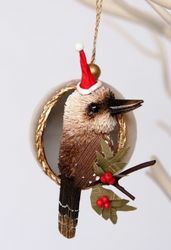 Made of all Natural Palm fibre and decorated with nuts, seeds, corn husk and all natural products, you can be sure these quirky little Aussie animals will sit proudly on any Christmas Tree. 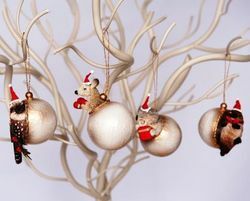 Kangaroo, Koala, Kookaburra and Platypus.